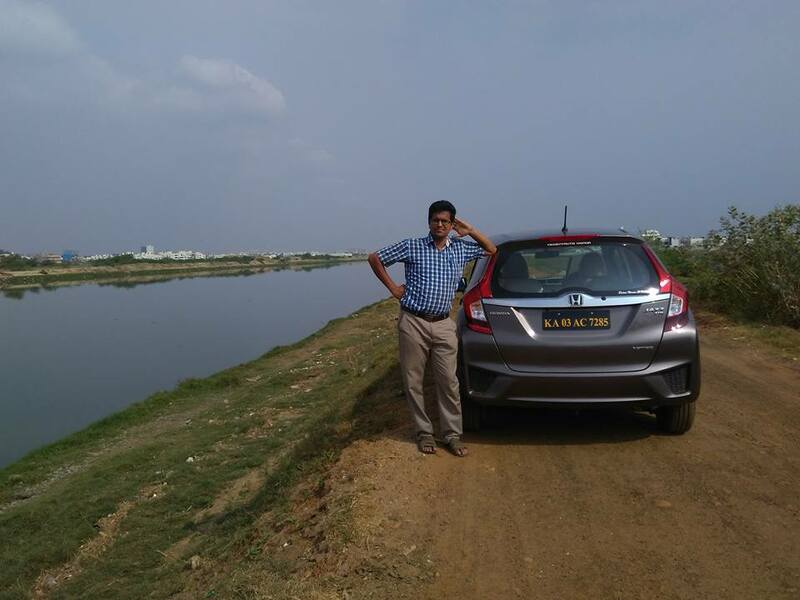 I had an unique opportunity to drive the 2015 Honda Jazz even before its commercial launch last year, at the iconic Buddh International Circuit. Read my BIC experience here, review of the event here and earlier review of Honda Jazz car here. But the only limitation during the media drive was that we had to drive in a convoy as per the exact instructions shared. 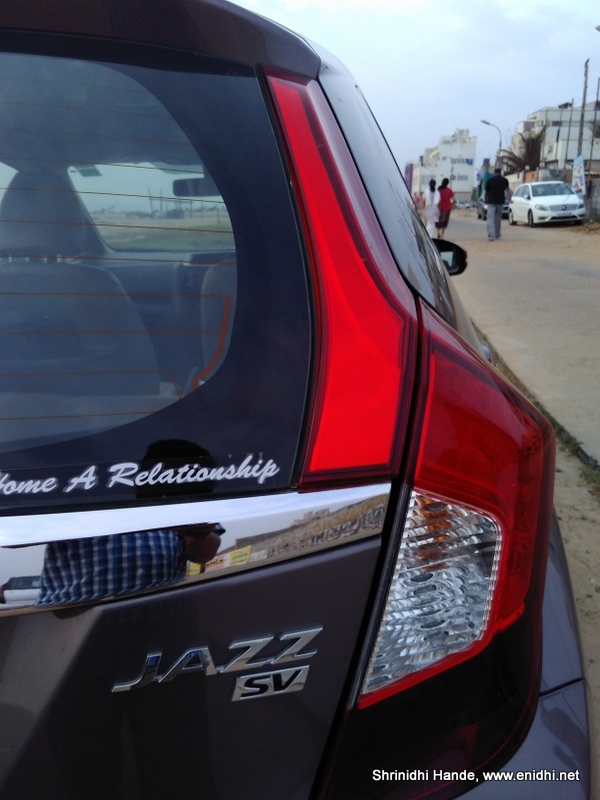 Recently I learnt that Carzonrent has added a Jazz to its fleet in Chennai. So I was tempted to try it out for a day. Promptly booked for a day- then realized that there is a Rs 500 OFF option if I use a certain Promo code. But I can’t modify my bookings at Carzonrent's Myles- a limitation they haven't bothered fixing since years, so had to ask them to cancel it. Booked again with discount code, so now I could rent a Jazz for about Rs 1900 per day after discount (weekend rate) all-inclusive except fuel. 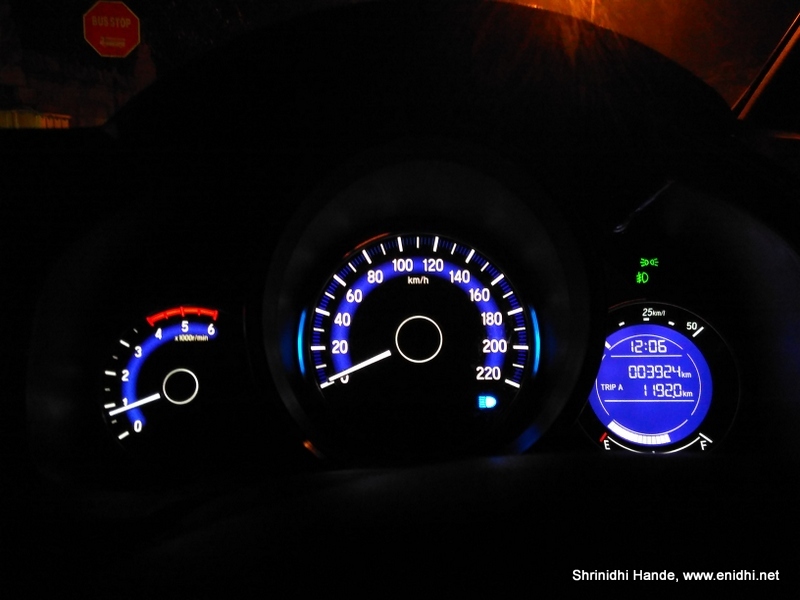 I can check out the car as per my wish and command, though I had to adhere to Carzonrent’s 100 kmph speed limit. I was curious which variant of Jazz it might be- thankfully Myles has purchased SV variant- this is No. 3 from top (V and VX are other expensive variants). SV variant costs about 9 lakhs+ on road approx. and won’t get alloy wheels, push button start, touch screen, second row height adjustment, auto climate control and few other fancy features available in the top spec variant. Drove the Jazz for about 180 kms in a day. It consumed Rs 500 worth of diesel for these many kms- about 11 litres or about 16.5kmpl. Please note that this is only estimate and not a precise calculation (car came with 75% fuel, I returned it at 75%- Plus or minus few litres may not take fuel gauge reading up or down by a bar but makes lots of difference to fuel economy calculation) Usage was in city limits, with AC. Central console with 3 circles was neat. Speedometer has a nice background illumination. When I am driving, it turns blue, if I take my leg off the accelerator it turns green. I wanted to check if it turns red if I reach high speed, but the 100kmph limit of Myles tied my hands. 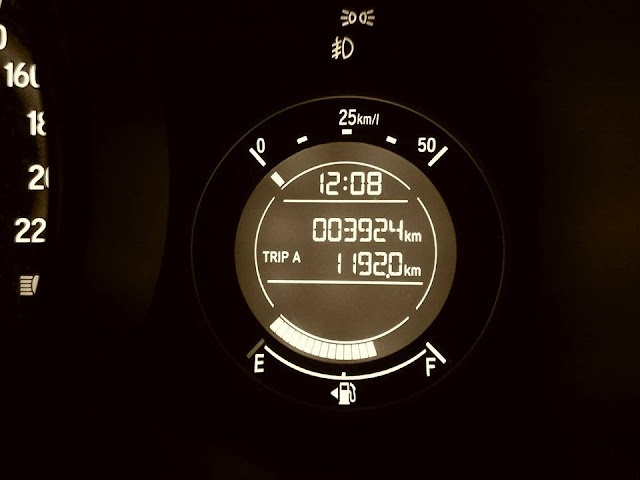 The instantaneous average indicator is not that useful for city driving- when you take your leg off accelerator it shows as much as 50kmpl, which is not true. When you floor the peddle it usually shows between 20-25. But we have to see the bars and identify under which number it falls- not very convenient while driving. They could simply display it as a number somewhere. In terms of drive and handling there was no reason for complaints. 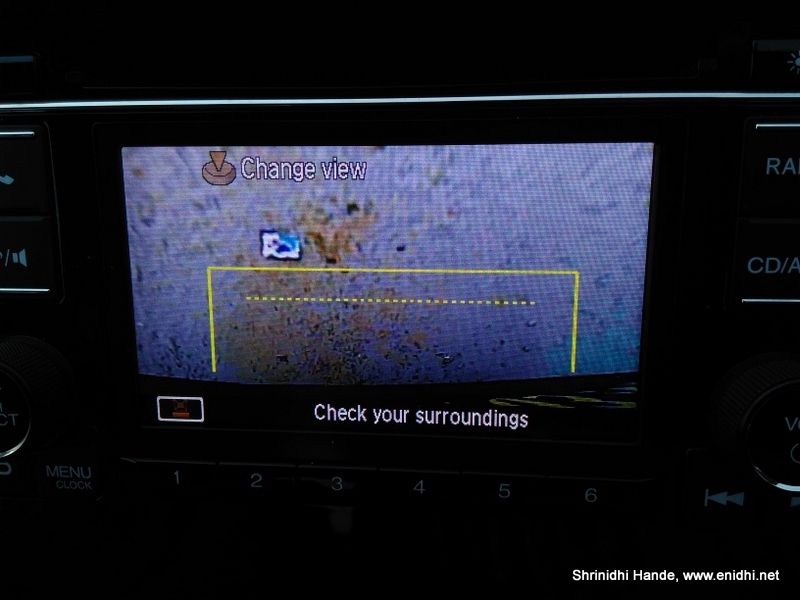 Reverse camera with guidance is very nice- we get 2 views of rear camera- one regular shot and one more pointing downwards to see if there are any obstacles right below the rear wheels (Check pics below). A well thought cup holder near the steering wheel is very useful to store toll receipts. Lots of open storage spots exist around the handbrake area. Simplistic dashboard is nice and easy. Though there was no touchscreen, navigating from one option to another was fun- was sort of BMW like. Overhead lamps and materials used inside are of very good quality. Tail lamp somehow reminds me of Volvo cars. Honda Connect- Honda has introduced a program called Honda connect- An android app based solution that connects the car, its owner and the car company/dealership. This lets your car to stay in touch with loved ones and also . This feature will be available only for ‘Premium models’- CRV, City and Jazz only to begin with and is a chargeable service. At present is is being offered at Rs 3000. I am told this is just one time payment and no repeat fees are involved. None of the competition have a similar offering as yet. 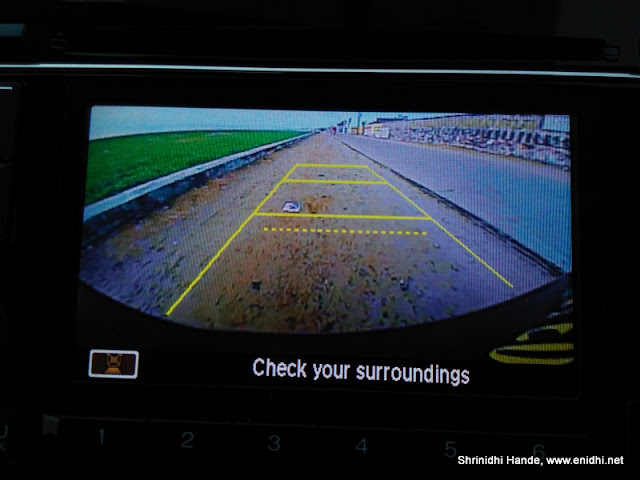 If the car will be driven by a loved one and you need to keep track of them and the car for safety and security reasons, then this feature is very useful. At this moment we don’t know if the program can deliver all it promises- if it can, then it is nice feature. Why I say so is because no solution is complete without timely intervention by human component of it. Car can trigger an alert, but if the person who should act (staff at dealership in particular) on it are not prompt, then full benefit may not be realized. Jazz sold 6000+ units in its opening month. At present it is averaging 2500 units a month, just one fourth of its key rivals- Hyundai i20 and Maruti Baleno. 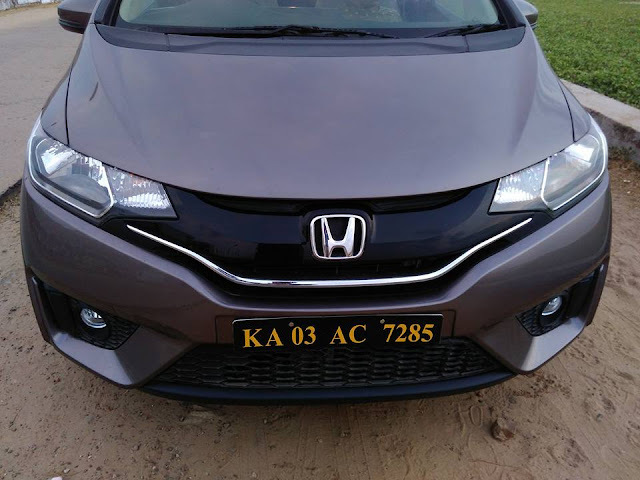 Jazz is priced a lac or two expensive than its similar specs rivals, so unless one likes Jazz a lot or wants to go for premium image Honda offers, those who look at value for money usually drift to other options in 10 lakh price range. Jazz variants range between 8 to 11 lakhs on road approx.